Clenbuterol is a beta-2-agonist. Beta-2-agonists are used to treat bronchial asthma. They dilate the airways, which narrows in the course of an asthma crisis. It acts by coping the effects of natural substances such as adrenaline and noradrenaline, substances produced in the human body. These substances prepare the body for action, exercise or when stressed. One of the effects of these substances is to open the airways for more air to reach the lungs. These should not be used when you have severe kidney and liver problems and should be used with great care when you have problems with your heart and circulation, thyroid gland, diabetes. Clenbuterol acts selectively on beta-2 receptors. When acting on them there is an increase in body temperature, an increase in the rate of metabolism and a decrease in appetite. For these reasons, Clenbuterol is used by many athletes to lose weight in dimming the muscular mass. In addition to the thermogenic effect, clenbuterol also has an anticatabolic effect. 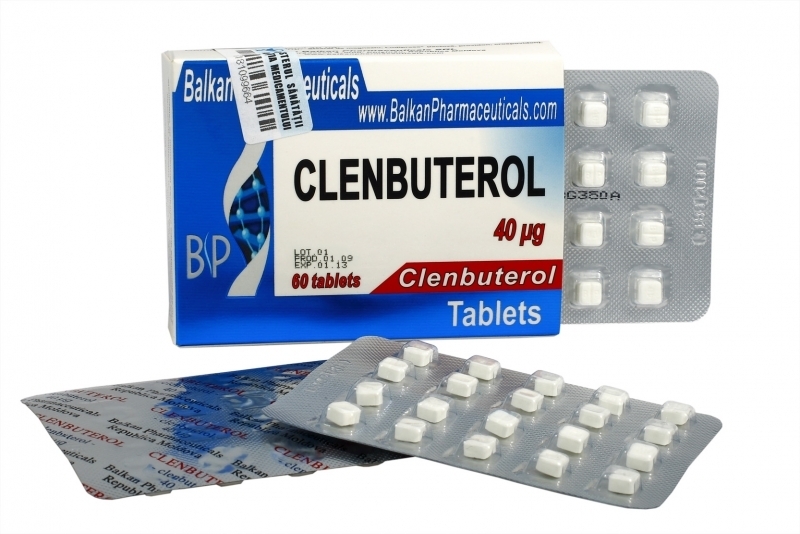 Clenbuterol comes in tablets of 20 or 40 mcg but is also available as syrup, inhalation, injectable, powder and granules. Dosages are very dependent on how the user responds to side effects, but is in the range of 40-120 mcg / day. It should never exceed 200 mcg / day, which is very much anyway. Clenbuterol loses its thermogenic effect after 8 weeks when body temperature returns to normal. That's why most athletes using it use a thermometer to check their body temperature. Clenbuterol increases it slightly, and when the temperature returns to normal, administration should be interrupted and a break taken for the body to adapt and Clenbuterol is no longer effective. Its anabolic / anticatabolic properties disappear after about 18 days. Considering the long half-life, the most effective method of ciclization would be 2 weeks on, 2 weeks off, no more than 12 weeks in total. To extend the duration of use up to a maximum of 6 weeks continuously, after the first two weeks Ketotifen is added, 2 mg per day; be careful, adding ketotifen increases the potency of Clenbuterol, so it may be necessary to lower the dose of the latter. The half-life of Clenbuterol is 35 hours.